There is just something about seeing the light bulb go off in a child’s mind when that child truly understands something. Since Math tends to be the subject that many children fear, it is even more encouraging for teachers when they find programs that make their students excited about learning. That is what happens with Happy Numbers! Through AI technology, Happy Numbers can individualize instruction and ongoing learning for students. Thanks to Evgeny Milyutin, CEO of Happy Numbers, and his group of experts, this program has taken the “sadness” out of numbers so that there is nothing left but joy. Is it working? Well, you do the Math! Evgeny: When I was tutoring, I saw so many opportunities to make my life easier by giving part of the job to the technology. There was also a certain feeling that we underestimate what technology can do in terms of teaching, so we’ve started to experiment/prototyping. Evgeny: Happy Numbers is all about blending technology and pedagogy, resulting in individualized math instruction for students. Using a combination of visual modeling, concrete manipulatives, and other traditional approaches alongside cutting-edge technology allows students to become more independent and engaged in their learning. Some of the features include: immediate feedback, adaptive scoring, and sound support for non-readers and auditory learners. Best of all, Happy Numbers is compatible with a variety of operating systems and technologies, including Apple products (iPad and Mac), Chromebooks, PC, and Android devices. Evgeny: As technology evolves, so will teaching. These changes will help teachers make better decisions when it comes to individualizing instruction. Different students learn in different ways, and technology will help ensure that students get the attention they need, through the method of instruction they understand best. Evgeny: Being a teacher is stressful, and it’s no secret that teachers are overworked. One of the biggest challenges we face is being able to make our teachers’ lives easier, less stressful, and more efficient. Burned out and overstressed teachers leave their jobs and we don’t want that. So we need to give them the tools that will help them get the job done well. 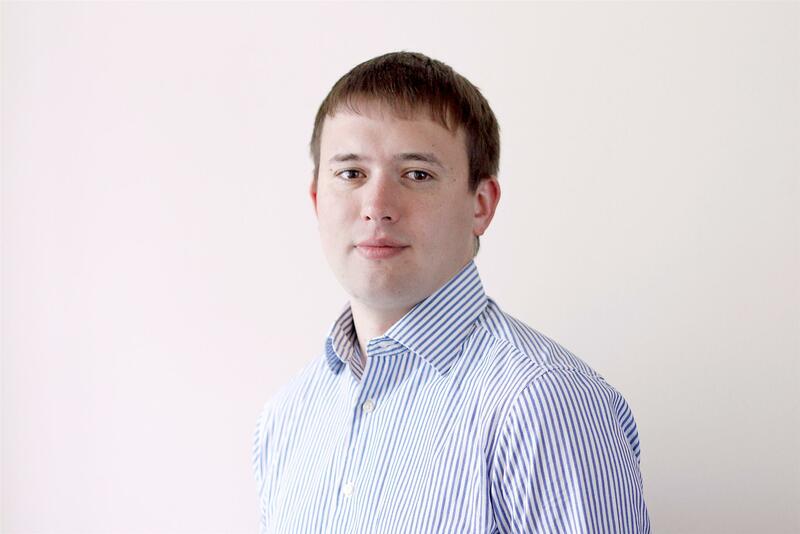 Evgeny: Our services are going to advance more and more in terms of individualized instruction. Students will get access to more precise and “smart” resources through HappyNumbers, and these will provide actionable insights to teachers. Evgeny: Terminator. It made me appreciate what can happen when technology goes wrong. Evgeny: Don’t be afraid about AI/technology — there are lots of polemics going on about AI stealing our jobs. One should see it in a different way: AI will make our jobs easier and more efficient, and we need to adapt ourselves to this new reality and embrace the new tools that are available to us. Evgeny: Happy Numbers is like a superpower; it helps build up classrooms, providing what they need for better instruction. We aim for teaching math in fun, engaging, and easy-to-understand ways; we don’t want “hating math” to be an option. Evgeny: We were asked how many dinosaurs work at Happy Numbers, since that is our business mascot. It was a young child that uses the product that thought that dinosaurs existed in the product! 1. I’m excited that schools will embrace technology early enough — starting pre-k or even earlier. For subjects like math, it is vital to build the foundation early before it’s too late. 2. That there is more and more attention being given to training teachers to become tech-savvy experts! 3. I’m excited to see how the VR/AR industry is developing, which will definitely find its place in the classrooms. I expect it will make wonders, once paired with the right AI technology. 4. Schools are becoming increasingly data-driven, and those interested in the technology could help in gathering and interpreting this data. Evgeny: I don’t have those worries, really. We are not in the “military drones” industry, where the tools you develop could be used for good and bad. Educational products based on AI wouldn’t hurt anyone, but would revolutionize the way we teach and learn, which is something we definitely need. Evgeny: Using AI/technology for instruction will no longer be an option; it will be a must. Data gathered by AI about the students will become a vital key for instruction, particularly individualized instruction. Teachers will also use AI-based virtual teaching assistants to get actionable insights based on this data.